I am pledging my marathon to provide education to children in the slums of Chennai. Support my cause! I have always believed that Education is a powerful tool for development and the best way to transform an individual’s life is by educating him/her. Running is a way of living, to me. I feel happy & blessed with the solitude and the time I get to spend with myself. Till date, I have run for my happiness and through this fundraiser, I intend to run for the happiness of various underprivileged children, to support their education. I am a human resource professional and an amateur long distance runner. I started running in late 2011 and I have run a lot of full marathons and Ultra marathons till date. I recently completed the prestigious Comrades Marathon in June 2014 and I will be running 100kms on Dec 13th 2014 at Nilgiris. Run of Kutch will be my maiden 100 miler and I intend to run the race in 30 hours. 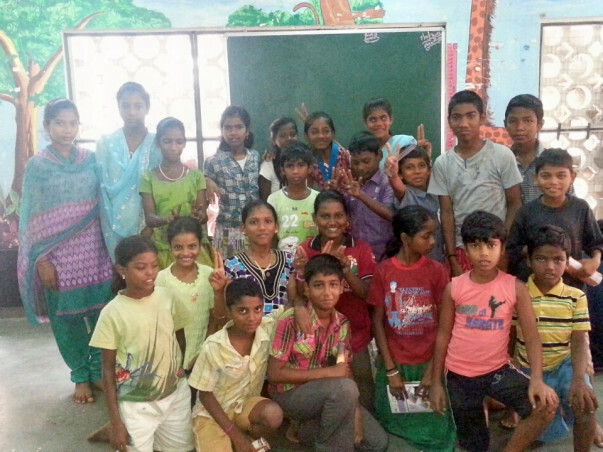 Shishu Shakthi’ is a non-profit trust set up in 2005 that works with children from slums of Chennai and they believe that education is the best way to empower children. For more information on the NGO, please visit the links below. The money raised here on Milaap will go towards funding education of under privileged children who live across Tamil Nadu. The average cost of educating a child is Rs. 5000 for the academic year. This will also fund the start of many more Tuition and Education Centres in slums of Chennai. Average cost of running a Tuition Center in a Slum is Rs. 15,000 per month including rent, staff and nutrition plan for the children.Your contribution means a lot and every little contribution even as little as Rs. 500 would mean a lot. If you cannot contribute, you can share it on Facebook, Twitter and other social tools you use. I will be frequently updating regarding the collection of funds through social media and I will be sending emails personally to all donors and will hand over the collected amount personally to the NGO. I will also training hard and frequently updating on it through social media. Dear Aravind, we hope there are more who understand your work and support the effort. Children are worth striving for and we wish you great success. Blessings from all of us at Globeracers. Good luck Arvind. Best wishes. Wish you all the best for the run, Aravind. God bless the children. Anand.